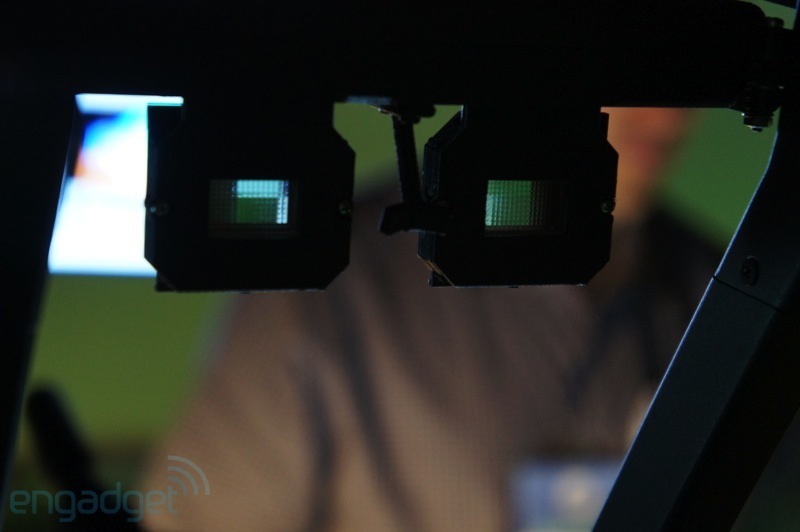 At this year’s SIGGRAPH conference, currently taking place in Anaheim CA, tech blog Engadget spotted an unusual participant in the “Emerging Technologies” section. 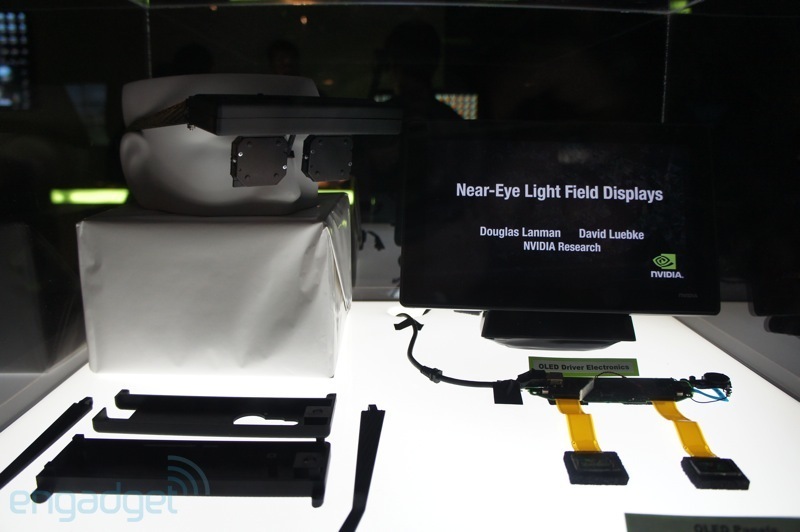 Douglas Lanman and David Luebke from the research labs at graphics processing specialist Nvidia presented what may be considered a prototype of the future of Virtual Reality: a near-eye light field display. 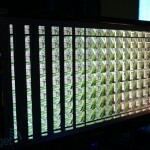 Microlens arrays, which are mounted just in front of the high resolution displays, are used to convert pixels to individual light rays, thus creating a light field directly in front of the eye. The viewer is thus able to refocus at multiple depths into the scene. 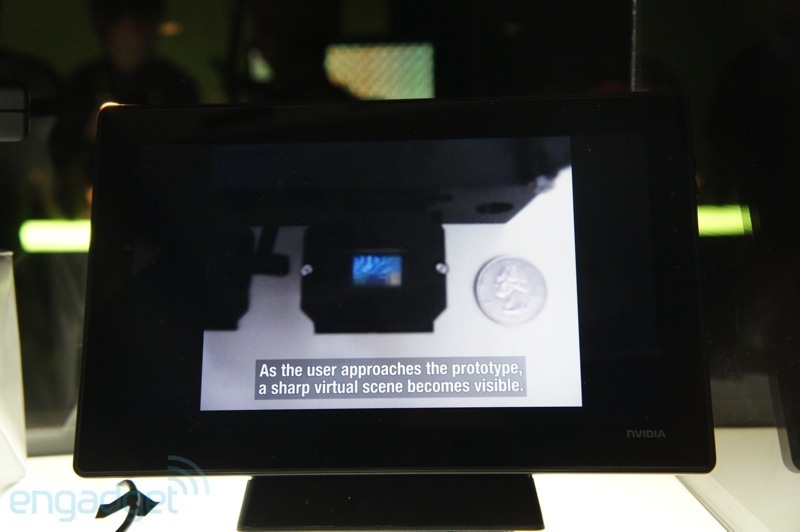 The prototype, which is being demoed to interested visitors, consists of two Sony ECX332A OLED micro-displays with a pixel density of about 2100 ppi (1280 x 720 24-bit colour pixels, at just 15.36 x 8.64 mm) mounted to a glasses-like frame, and a small box of electronics. 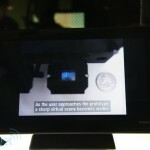 The prototype’s displays are about 1 cm thick in the current prototype (but can be made thinner, according to the presenter in the video below). 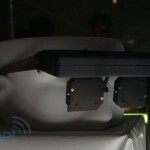 Advantages over non-lightfield VR glasses are quite impressive: an extremely sleek and lightweight setup, a wide field of view (70 degrees in the demo), no need for eye-tracking to artificially change focus on a flat display, and the possibility to account for someone’s glasses or contacts prescription solely through software. 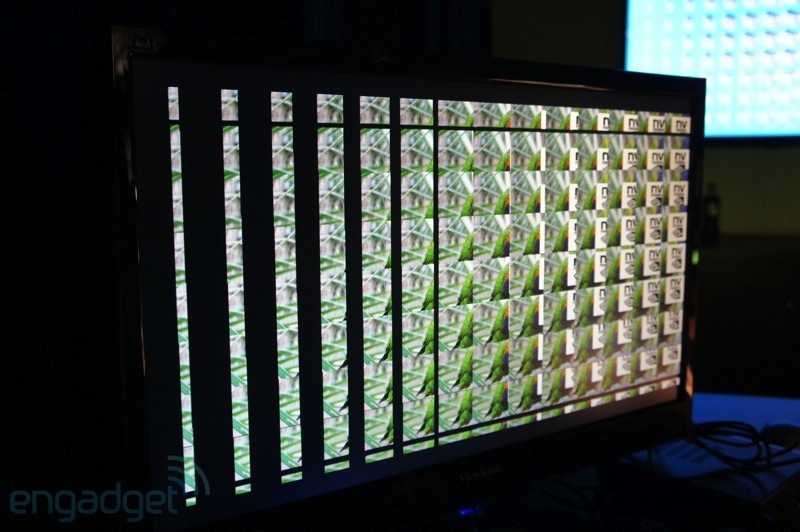 On the other hand, the multitude of perspectives (view points) that is crammed onto a very small area results in a loss of spatial resolution, which makes high resolution display technology a general requirement. 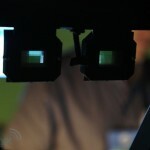 The presented prototype achieves an effective spatial resolution of 146 x 78 pixels and a field of view of 29 x 16 degrees. More information is available in the authors’ publication: Lanman D, Luebke D (2013) Near-Eye Light Field Displays. 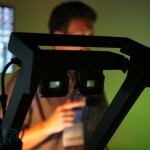 ACM Siggraph 2013 Talks. 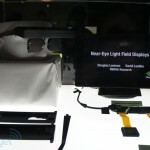 We propose near-eye light field displays that enable thin, lightweight head-mounted displays (HMDs) capable of presenting accommodation, convergence, and binocular disparity depth cues. Sharp images are depicted by out-of-focus elements by synthesizing light fields corresponding to virtual objects within a viewer’s natural accommodation range. 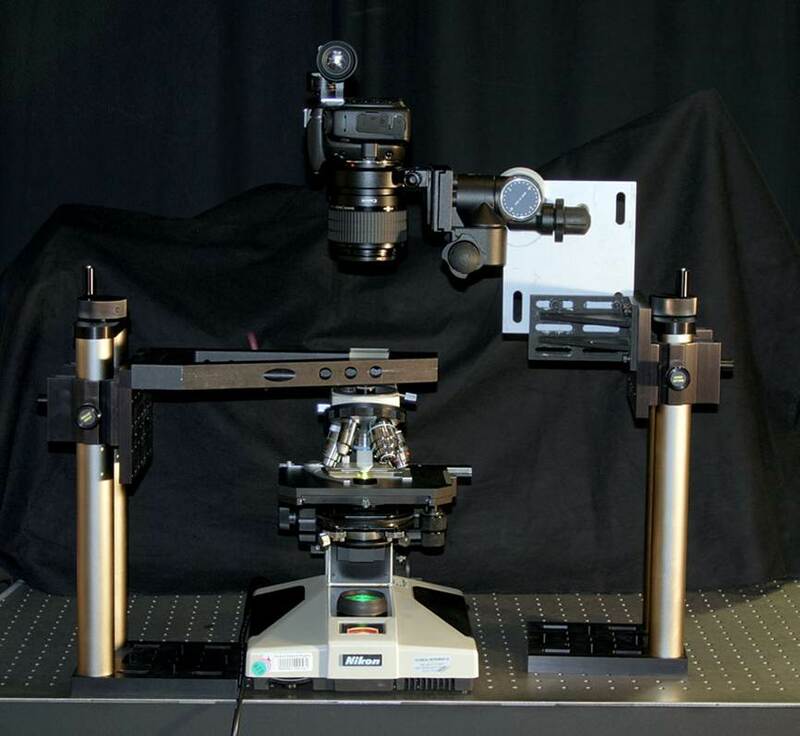 Our primary contribution is to evaluate the capability of microlens arrays to achieve practical near-eye light field displays. 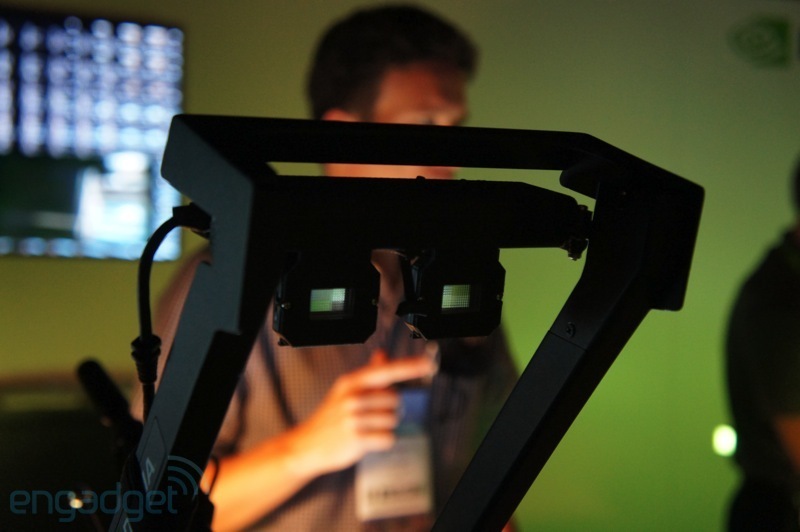 Building on concepts shared with existing integral imaging displays and microlens-based light field cameras, we optimize performance in the context of near-eye viewing. As with light field cameras, our design supports continuous accommodation of the eye throughout a finite depth of field; as a result, binocular configurations provide a means to address the accommodationconvergence conflict occurring with existing stereoscopic displays. 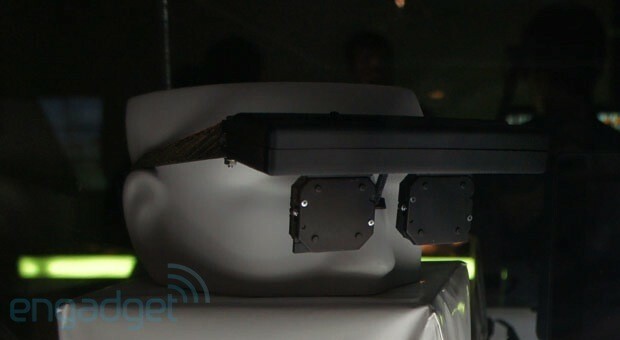 We construct a complete prototype display system, comprising: a custom-fabricated HMD using modified off-the-shelf parts and GPU-accelerated light field renderers (including ray tracing and a “backward compatible” method for existing stereoscopic content).